Finally got your first new puppy? If you want your first puppy training experience to be fun, here are helpful dog training tricks that will surely get you started. The Briard, also known as the Berger de Brie, is a large agile breed that has a powerful stature and muscular build. 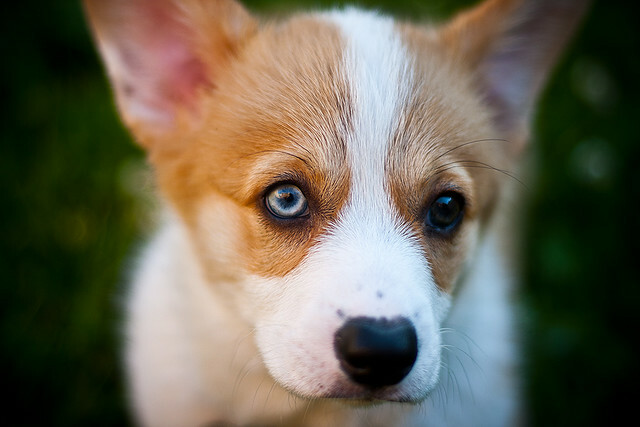 A herding dog, this breed was primarily bred not only to herd sheep but to protect them. They weigh an average of 75-90 pounds and stands 23-27 inches in height. 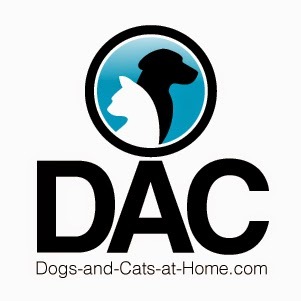 A double-coated breed, the Briard has a hard, dry, and coarse top coat that lies flat, falling in long, slightly waved locks; and a fine undercoat that covers tightly all over the body. Their hair is so abundant it masks the shape of the head or totally covers the eyes. Coats uniformly colored are all accepted except white. White can be permitted if it is only scattered throughout the coat, and/or a white spot that should not exceed one inch at the chest. Black or various shades of gray and tawny, and deeper shades of colors are usually preferred. As with another working breed, the Briard should be given a long walk or be made to run alongside a bicycle. If not exercised enough, they will become destructive and restless. This breed makes a wonderful jogging companion, and also enjoys a good swim. Ideally suited for defense/police dog trials, this breed has a marvelous supply energy. 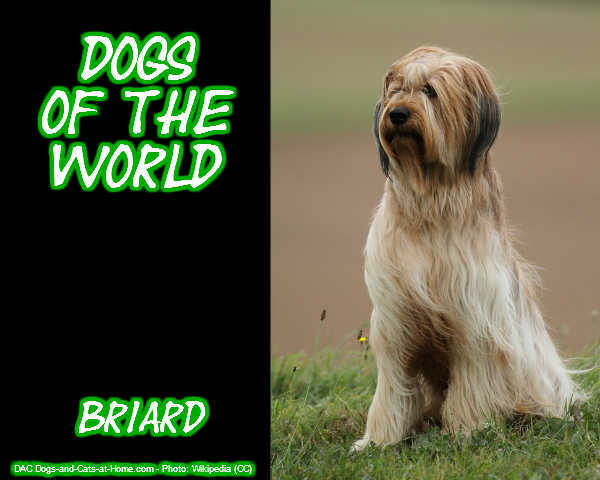 The Briard is a protective and devoted breed. With a heart of gold, this breed is highly intelligent and loving. Once bonded with their family members, they will be loyal and very protective of them. Aloof with strangers or undiscovered things, this breed has to be introduced may it be furniture, a visitor, or a new baby. Early on, they should be taught if something is safe or harmful. Proved to have an excellent temper, this breed is great to have around children. Bred primarily to herd and guard flocks of sheep, the Briard was often used to search for injured soldiers by the French Army. Now, this breed is a recognized companion dog that continues to be a delightful herder and a guardian. The coat of a Briard sheds water and dirt, with little shedding if well-groomed. They need brushing and combing daily to prevent mats to form. Bathing should be done only when necessary as it can damage the coat, making it difficult to groom. Ears should always be kept clean. The Briard is a generally healthy breed, although they may have a tendency to develop hip dysplasia, PRA, and cataracts. Extensive socialization should begin as puppies for this breed. The Briard has excellent memory skills and is highly trainable. They need firm and consistent training who is able to take charge. However, if not trained properly, they tend to be exceedingly fearful, hostile, or both. The Briard is a placid, affectionate breed with a lifetime of loyalty and devotion for their owners. They are highly intelligent and easy to train, making them a delightful household pet and excellent guard dog. As a herding dog, they are sturdy and it is recommended to provide them enough space as they are large dogs. Playful and loving, but cautious of strangers, the Briard is a breed with the impressive build and a big heart.